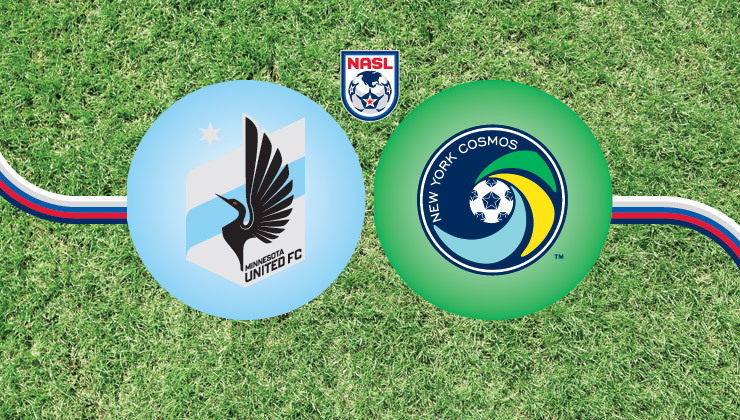 The New York Cosmos travel to Minnesota to take on United in a key Week 9 matchup on Saturday, May 30, at 8 p.m. ET. The Cosmos, who are unbeaten so far, could wrap up a Spring Season title with a win. Last Saturday the Cosmos beat the defending NASL Champions, the San Antonio Scorpions, 3-0, at Shuart Stadium to remain the only unbeaten team in the NASL. Through eight games, the Cosmos have five wins and three draws for a league-best 18 points. On the road this season New York is 1-3-0 (W-D-L). On Wednesday New York earned a 3-0 win over the Jersey Express in the third round of the U.S. Open Cup. Leo Fernandes and Sebastián Guenzatti scored in the first half, and Mads Stokkelien converted a late penalty kick to seal the victory for the Cosmos. That result means the Cosmos will host New York City FC in the fourth round on June 17 at Shuart Stadium. Kickoff is slated for 7:30 p.m. ET. 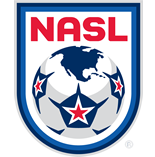 Meanwhile in the NASL, the Cosmos can lock up a spring title Saturday by grabbing all three points at NSC Stadium coupled with a Rowdies loss or draw in Indianapolis against Indy Eleven. Soon after this match, the Cosmos will travel to Cuba for a friendly against the Cuban National Team in Havana. In their last NASL match, Minnesota United defeated Jacksonville Armada FC, 3-2, in front of a sold-out crowd at NSC Stadium. Tiago Calvano, Miguel Ibarra, and Pablo Campos scored in the second half to give United the win. On Wednesday, United fell in the third round of the U.S. Open Cup to Saint Louis FC in penalty kicks. J.C. Banks gave United the lead in the second half, but it was not enough, as Saint Louis tied the game late and eventually won on penalties. Minnesota United sits in the second position of the Spring Season standings with 12 points, six behind the Cosmos with one fewer match played. United needs at least a draw on Saturday night to stay in contention for the spring title. The Cosmos have never lost to Minnesota United FC. In five previous matchups, New York has earned three wins and two draws. The most recent matchup was a scoreless draw on October 18, 2014 at NSC Stadium. In three contests in 2014, the Cosmos won one before drawing twice. Neither team has scored more than one goal in any of the five meetings between the teams. The Cosmos have allowed just five goals this year in league play, the lowest total in the NASL. Cosmos goalkeeper Jimmy Maurer’s 21 saves lead the NASL. Maurer made three saves in last Saturday’s win over San Antonio to earn his fifth clean sheet of the season. Seven Cosmos players have scored this season. Raúl and Leo Fernandes each have three goals to lead the team. The Cosmos’ 13 goals this season trail only FC Edmonton’s 15, and New York’s 62 shots are the most in the NASL. Over their last three league matches, the Cosmos have scored nine goals, and they’ve scored 12 in their last four after a 3-0 U.S. Open Cup win over Jersey Express on May 27.